What is the best time to visit Varanasi? The best time to visit Varanasi is Winter (November - February) since the temperature is low and there is a calm breeze throughout the day. 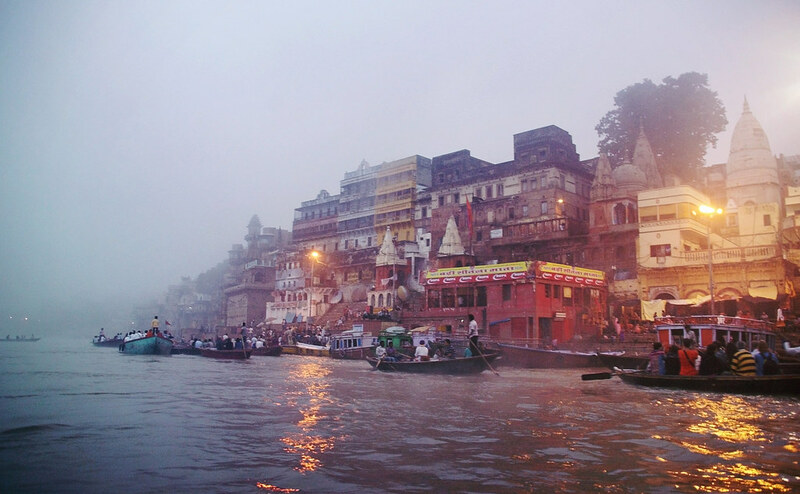 Summers in Varanasi experience high and dry temperatures. It is best to avoid the summers since they are hot dry and sunny making outdoor sightseeing difficult. Monsoons are a pleasant change, with moderate to heavy rainfall, while the winters are the best time to visit Varanasi, owing to the marvellous weather conditions that elevate its beauty to a large extent. 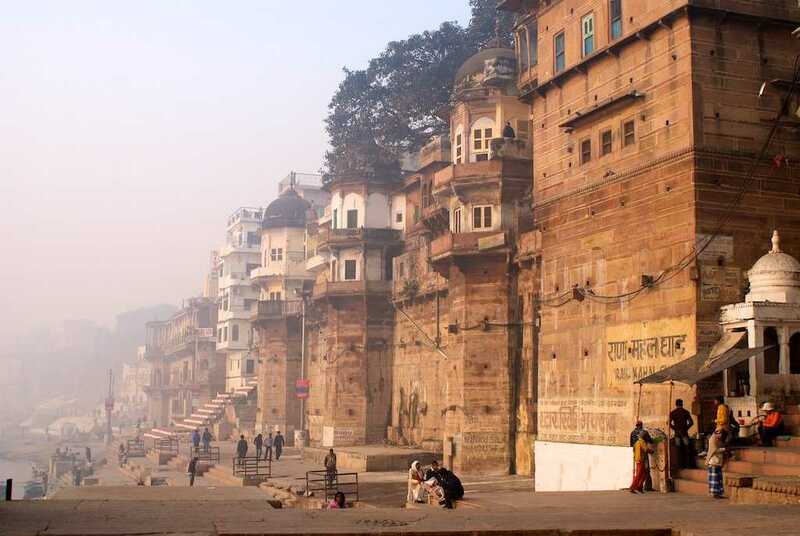 With an average temperature that stays within 5 degree Celsius and 15 degree Celsius approximately, the best time to visit Varanasi is in Winter between November and February. A perfect time for taking strolls, sightseeing, and exploring the city beyond what meets the tourist’s eye, the winter season is accompanied with colourful flowers in full bloom and lush green vegetation. The calm breeze brushing past you in the evening is a perfect time to relax by the holy river with a cup of piping hot tea. You can also set out for an early morning boat ride on the river and see the sunrise in all its glittering glory. Make sure to take a walk across the massive campus of the Banaras Hindu University, head out to seek some blessings from the divine being at Durga Temple, New Vishwanath Temple, Batuk Bhairav Temple, and ISKCON Temple. Another ethereal experience that you should not miss at this time is the majestic Ganga Aarti which takes place in the evening and lights the entire riverbank with a soft, golden light that emits from the oil lamps. Red, yellow, pink, and vermillion flowers adorn the river, and the air reverberates with the mingled melody of conches, bells and gongs, along with the chants of the pundits. The fragrance of incense rises in the air and mixes with the scent of the floating flowers, thus making it a surreal place to be at. In spite of the torrential rainfall hampering the tourism and travel, Varanasi receives large masses of visitors during the monsoon as well. Marked by the frequent downpour in July, this season lasts till the second week of October. The average temperature more or less stays between 25 degree Celsius and 30 degree Celsius, thus bringing a welcome respite from the heat. The level of the Ganges rises above the usual, thus alluring more people to the ghats, who sit there and take in the mesmerising sight. However, be careful while at the riverside, since layers of algae accumulate on the steps and pair with the water to make the path slippery and dangerous. Watching the Ganga during the peak of the monsoon is also a thrilling experience. Summer in Varanasi lasts from March till the end of June, where April and May are the hottest months. 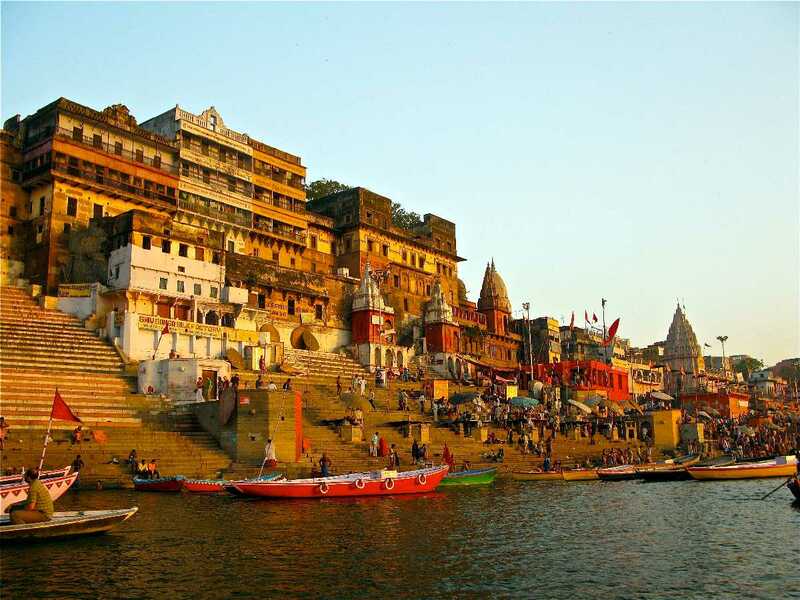 Not unlike any region in the northern part of the country, summer in Varanasi is characterised by weather that is devoid of humidity, with the sun blazing throughout the day, thus making the mercury level rise as high as up to 45 degree Celsius. The average temperature rarely falls below 30 degree Celsius, even though the areas at and around the Ghats are preferably cooler. Before planning a trip here during summer, keep in mind that going outdoors for any activity is tough. The hot, dry wind blowing across the region in the afternoons make it more challenging to be able to bear the extreme climatic conditions. The auspicious Mahashivratri falls in February which is a festival to behold. If you are visiting this place during these months, make sure to relax by the pleasant riverside and take in the breeze at the Dashashwamedh Ghat, Assi Ghat, Manikarnika Ghat, and Kedar Ghat. Also, make sure to try out the delicious lassi which Varanasi is famed for. Sankant Mochan Hanuman Temple celebrates a Music Festival every year on the occasion of Hanuman Jayanti. An all night music festival which goes on for four nights, it has attracted numerous maestros of Indian Classical Music and Dance such as Birju Maharaj, and Pandit Jasraj. Ramlila is a traditionally performed set of plays that depict Lord Ram's journey as told by the Ramayana. The 200-year-old Ramlila grew under the patronage of the Royal House of Benaras. Organized on a grand scale, around 10,000 people take part in the celebrations. The performance usually happens over ten days, but in Ramnagar, it stretches on for more than a month. It finally culminates with Dussehra, a festival that celebrates the victory of Good over Evil. Over a million visitors, throng to Uttar Pradesh to attend this festival annually. The Ganga Mahotsav is celebrated every year to display the cultural heritage of the Gangetic plains, especially that of the ancient city of Kashi, which is now known as Varanasi. The festival is celebrated for five days and is organised by the Mahotsav Samiti of the Department of Tourism of the Government of Uttar Pradesh. The five-day festival, with all its rituals and customs, traditional music and dance shows, provides for a soulful experience the likeness of which is difficult to find. Taking place in different months – beginning on Prabodhini Ekadashi of Kartik month – and at various ghats of the river every year, the Ganga Mahotsav brings forth the cultural heritage of the land, which people from across the nation and abroad come together to witness and experience.